For the 6th year, we are organizing a Spiritual Retreat for those who are LGBT and Christian in Europe. Our past retreats have been a real success, creating friendships, offering fellowship & worship, a safe place to share one's struggles and to be gay and Christian without having to hide, and most importantly a time of rest to be in God's presence. Many have been beyond blessed, have found healing and can't wait to come back. In large private house with 15 bedrooms, large kitchen, dinning room, double living room, laundry room, separate activity/worship room, outdoor eating area and lawn, and private car park. Almost all the bedrooms are shared occupancy. The house is located just outside the grounds of Buckfast Abbey, and within the Dartmoor National park. All breakfasts & Friday and Sunday dinners are included in the price *. Lunches : there is a restaurant at the Abbey which offers hot meals at around £6.95 (+ drink), as well as salads and snacks. Saturday night Dinner : We will go out to a nearby restaurant, where everyone can pay for their individual meal. * If you are vegetarian, please let us know in advance. I have a Word document with all transport information, which I will send out when you book a place, both for travel within the UK, and for those who come from other European countries. Wherever possible, I will also do my best to coordinate lifts with those who will come by car, so that transport costs can be shared and a lot less. Interdenominational Christian worship (in English), sharing time, prayer time, socializing time, in a safe environment where you can be yourself fully, amongst LGBT Christians. The full schedule will be worked out nearer the time and we will ask for volunteers who would like to share their God given gifts. 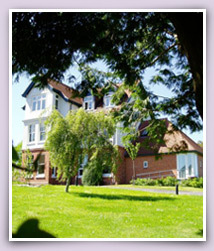 Your place at the retreat will only be reserved once you have booked and paid for your place. If you book early, you will also be given a choice of room. We have only 40 places available, and will be operating on a "first come, first served" basis, so booking early is a good idea. Priority will be given to members of GCE (Gay Christian Europe). However, if we have not filled up the required number of places before the booking closing date, we may make those available to other European LGBT Christians who may wish to join us. Deadline for booking : 11th June 2014 (if paying via Paypal instant payment as booking money needs to be recieved by that date) OR sooner if we run out of places before then. No bookings will be possible after that date. 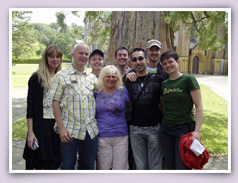 GCE (Gay Christian Europe) reserves the right to decline bookings from people who have caused trouble at previous retreats (or made people feel uncomfortable with their advances), and to people who have used our retreat as a geographical base to do their own activity that week-end. Payments can only be made as a one off payment, and are usually done via Paypal (which also offers a Credit Card payment option if you don't have a Paypal account). We can also offer Bank Transfer if preferable. "I really appreciated this retreat because the people and fellowship were just wonderful. I loved the votive candles that we lit on the first night, and the theme of Christ's light that ran through the sessions. When I got home I found the candle in my luggage and it will draw me back to the stillness of the retreat when I see it or light it next." "It's been my first retreat and I absolutely loved it! I've had a wonderful time with all of you guys and girls. I've felt so happy during the whole weekend, enjoyed every single talk, laugh, session or prayer... It's been a real blessing to be there and I hope to make it back again next year!" "Wow, what can I say except that we are a real living community of Christ's people. It was amazing spending time such a brilliant weekend with all of you. Emotionally it was a place to come to God and find acceptance, and share and laugh and talk with others. Buckfast itself was such a haven of tranquility and the centre is quite perfect for our needs. God was really present with us."